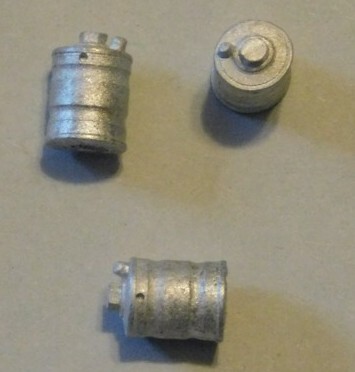 Our Spark Plug Lighthouse is patterned after the prefabricted cast iron ligthouses that, although not exclusive to, were very common on the east coast. By changing the paint scheme, and by adding the optional awning, that is included in the kit, many different lights can be represented with this model. Rock Base is 1" High and 7" in Dia. 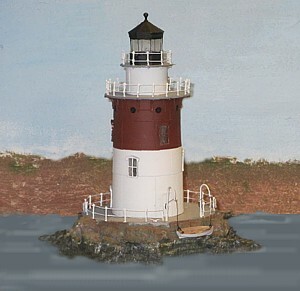 No room on your layout - This lighthouse also makes a beautiful stand alone model for a mantel or any display shelf.